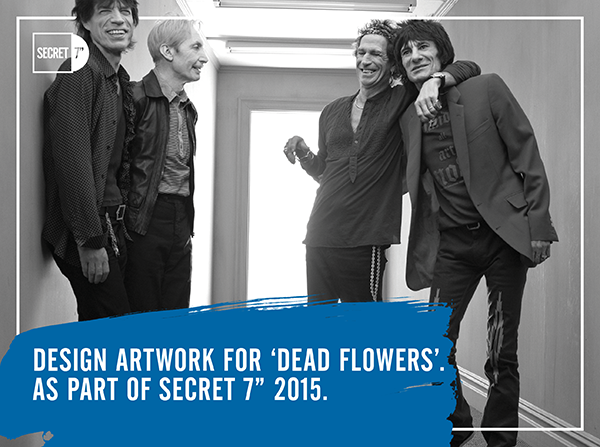 The Rolling Stones will issue their classic 1971 track, “Dead Flowers”, as a single for the first time as part of 2015 edition of the Secret 7” program. The annual UK charity event sees 100 copies of 7 songs from 7 high-profile artists pressed onto 7” vinyl, each with unique cover art provided by fans. 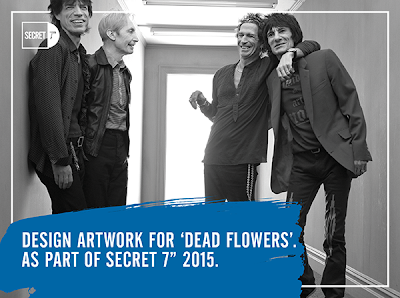 Joining the Stones in this year’s Secret 7” program are Peter Gabriel, St. Vincent, The Chemical Brothers, Diana Ross & The Supremes, The Maccabees and Underworld. The artwork for the singles will be exhibited at London's Somerset House between April 10 and May 4, before going on sale on May 4 at a price of £50 each. The cover art hides the music within, so the “secret” is discovering which song you’ve purchased when you open the package. Proceed from the 2015 event will benefit music therapy charity Nordoff Robbins, who work with people with a range of challenges - such as autism, dementia, depression and physical and learning disabilities – to help them communicate where they have struggled to do so previously.